With the inheritance of Canaan and the dividing up of this priestly territory among the tribes, Israel became a microcosm of the nations of the world. In a Land from which Cainites were being dispossessed, Israel herself would not only judge between the manslayer and the avenger of blood, but provide cities of refuge to the “firstborn” Levites as a gift. Like Adam, Cain would not “bear” his sin. But unlike Adam, Cain was rejecting the covering of animal substitutes. As the “offspring” of the serpent (kinghood without priesthood), he only understood law as tyranny. There was no place for mercy (Atonement) because mercy required Covenant confession. …when Jesus calls Himself “the Son of Man,” He is referring to Ezekiel, not to Daniel 7 (except perhaps indirectly). 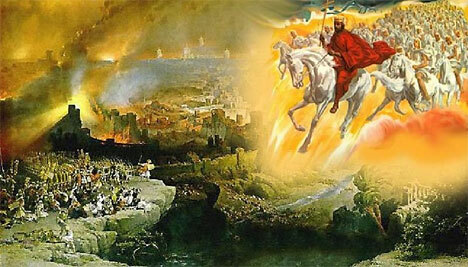 Jesus is the Greater Ezekiel. Christians are those who are “like the Son of Man,” like Jesus. God loves His architecture. The first chapter of the Bible is architecture. The books of Moses and the book of Revelation are filled with architecture, and the same floorplan underlies every book in between. Most Christians don’t understand the Bible’s architecture and modern Christians not only do not understand it, they do not care for it. But God loves His architecture. To love the Bible one must love its architecture. To understand the Bible, one must let the architecture inform one’s understanding. The fourth major cycle moves us from the Covenant Ethics to the Covenant Sanctions. This concerns the pouring out of blessings and curses for obedience or disobedience to the Covenant, and the cleansing of the Land from the guilt of sin and the ensuing barrenness. Aligning this pattern with its corrupted prototype in Eden, the “war of words” between Adam (Jesus) and the serpent (the Jewish rulers) is over, and it is time for some face to face combat, and a reckoning. The Tabernacle was covered in three layers: linen, red-dyed ramskin, and a third layer of tachash. What’s tachash? The word is a mystery, and there have been many suggestions concerning its meaning, from unicorn to dolphin. But perhaps that mystery has now been solved. And the glistening solution is nothing like you’d imagine in a million years. A common interpretation of the “armor of God” relies on the assumption that Paul is using the kit of a Roman soldier as a metaphor. This shows how fragmented is our understanding of the Bible, an organic text which is not fragmented at all, and not reliant upon the various contemporary cultures anywhere near as much as we assume. The armor in Ephesians 6 is that of a priest, a priest with a sword, fulfilling his guard duty at the gate of God. 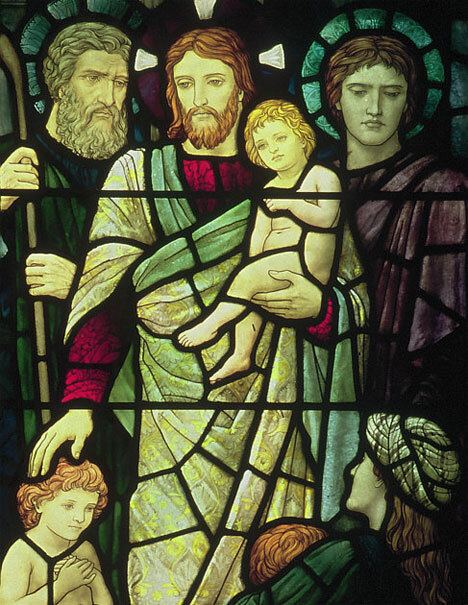 Jesus is often pictured with a child or children. His love for children is used as evidence for infant baptism. After all, aren’t we bringing our infants to Jesus in paedobaptism and paedocommunion? After a brief look at the structure of this passage the other day, I thought I’d spend some more time on it. A closer analysis has revealed an even greater beauty than I expected. (I have briefly referenced the order of words in the Greek to avoid any great missteps, so it may not be perfect, but it’s close.) Much learning hath indeed made me mad but I hope you’ll take a few minutes to see this passage through my eyes.